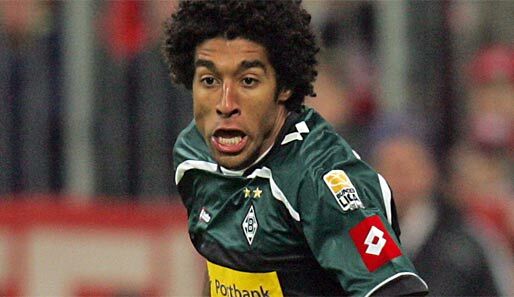 According to some rumours, FC Bayern are after relegation-threatened Borussia Mönchengladbach's 27 year old Brazilian central defender Dante Bonfim Costa Santos, known simply as Dante. Dante, who is well known in Germany for his large "afro" hair is 1.87m tall, and his previous clubs include Juventude, Lille, Charleroi and Standard Liège. If we shud get someone from Gladbach, its Reus!! IF Gladbach relegates , Dante can leave for 6 million euros !!! Is this an opinion or is it an actual relegation release clause in his contract? MUTU wrote: Is this an opinion or is it an actual relegation release clause in his contract? Dude , as 3rd Defender , he would be very good !! Why Breno is 100% leaving , he played as a starter recently against Hannover and INTER and he may think of his situation after LvG leaves , also IMO there was a problem in whole defensive play it wasn't just a matter of individual mistakes and a balanced display under Jupp Heynckes could well benefit Breno. You have just said that LVG is leaving !!!! I really like the idea of getting Huth. He's the type of physical defender we need that won't be bullied by Eto'o. I watch him often in the EPL, he's really good and always a threat in set-pieces.